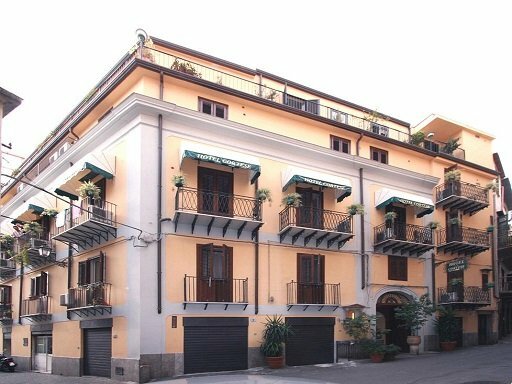 A lovely hotel in Palermo set within walking distance of the city’s bustling street markets, bars, restaurants and Unesco sites. Stay at this Palermo bike hotel and soak in Sicily’s unique atmosphere. A charming and authentic family-run hotel close to Palermo’s lively Ballarò Street Market in the very heart of Sicily’s capital. 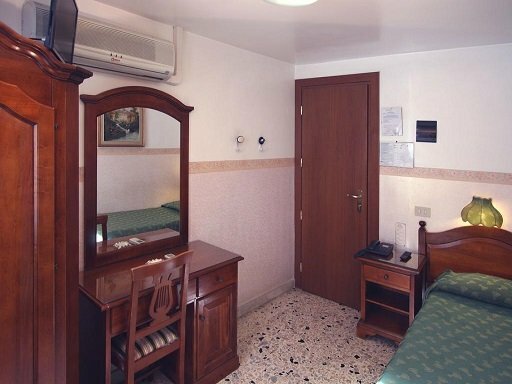 If you’re travelling on a budget and plan to spend a day or two in Palermo to experience its wonderful atmosphere then this is the perfect place to stay. 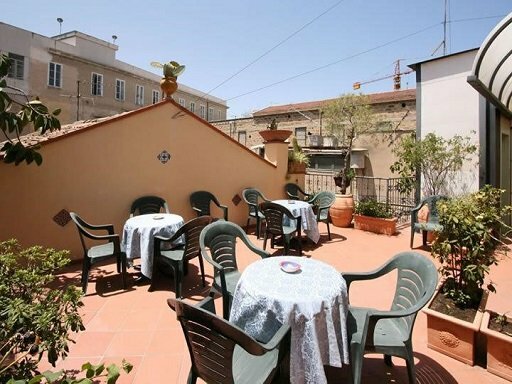 With a lovely roof terrace, simply furnished rooms both with shared and private bathrooms and a friendly staff, this bike-friendly hotel in Palermo offers all you need for a short city break. Book a bike shuttle from/to the airport or any other destination in Sicily, click here. The nearest airport is Palermo (aka as “Punta Raisi” or “Falcone e Borsellino”). If you travel with your own bike, you can reach the city on two wheels. Click here to view the recommended itinerary. Otherwise, you can take the train (see below) or book a private bike shuttle (see below). If you plan to rent your bike in Palermo, you can take the bus or use the taxi sharing service. The nearest railway station is Palermo Centrale (check the timetable on www.trenitalia.com as the train link is interrupted due to construction works as of January 2018). The public bus line Prestia e Comande connects Palermo to Palermo Airport (but they do not allow bikes in the luggage compartment). Check out our Palermo City Guide to find out more about the public transport in Palermo and the surroundings. The nearest ferry port is Palermo (10 mins by bike). Connection from/to Naples, Civitavecchia (near Rome), Genoa and the minor island Ustica off Sicily’s north coast. Visit the Sanctuary of the city’s patron saint Santa Rosalia on Mount Pellegrino (leave your bags at the hotel! ), it will take you about an hour to get there by bike depending on your level of fitness. The climb is not too hard and the views of Palermo bay are magnificent! Stroll through the famous street markets Ballarò (around the corner), Vucciria (10 mins walk) or Capo (around 10 mins from the hotel). The markets are quite crowded in the mornings so we recommend you leave your bike at the hotel. For more inspiration, check out our Palermo City Guide.